Segal is excited to congratulate its very own David Gatchell and Liz Gerber on being two of five faculty members honored with 2016 Charles Deering McCormick Teaching Excellence Awards. Along with the three other recipients, Gatchell and Gerber are being awarded for their outstanding performance and dedication to undergraduate education at Northwestern University. 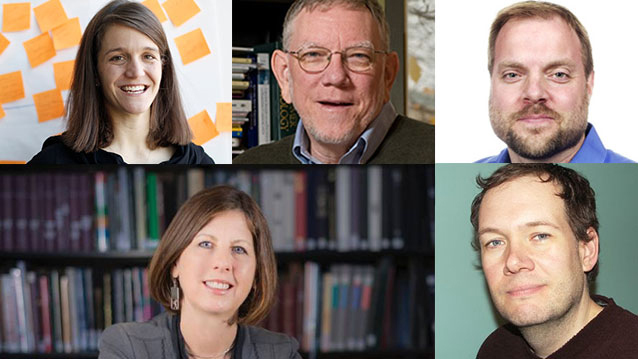 Segal faculty has historically been well represented in the Charles Deering McCormick Teaching Excellence Awards, with previous Segal recipients including Bruce Ankenman, Walter Herbst, Jeanne Herrick and Penny Hirsch. The awards ceremony to honor this year’s five faculty members will be held 4:30 pm, Thursday, May 19 in Scott Hall’s Guild Lounge. All members of the Northwestern community are invited to attend the ceremony and following reception.